Yet I faced a different set of expectations when I started to work on the history of music piracy for my dissertation: isn’t this a contemporary issue? Wasn’t Napster just a few years back? Even if piracy stretched back to the beginning of recorded sound in the late nineteenth century, the topic still didn’t feel like the proper subject of a history dissertation. 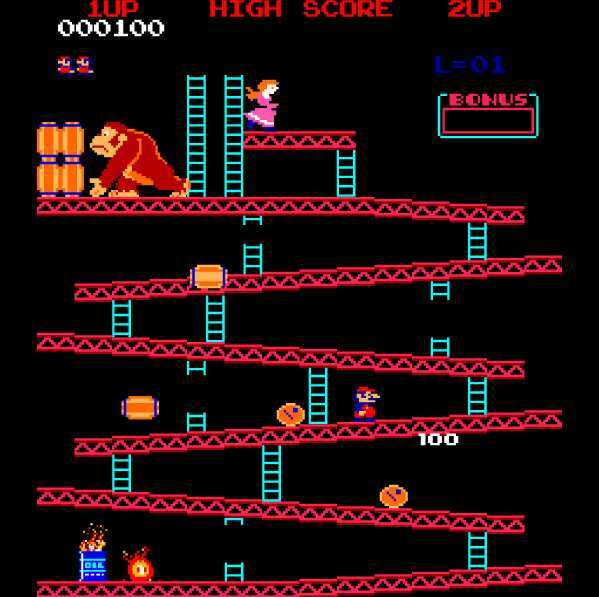 Similarly, a scholar might find that others look askance upon video games as his or her topic, even though more than forty years have passed since Pong first introduced the world to electronic gaming. While the multibillion dollar game industry has grown so big that it grossed more than the Hollywood box office in 2008, as Jeremy K. Saucier points out in Doing Recent History, a new anthology, it has received little sustained attention from historians. For some, the technological innovations of the 1970s may feel too recent or frivolous to qualify as worthy of history, but Doing Recent History suggests otherwise. As part of the University of Georgia Press’s Since 1970: Histories of Contemporary America series, it promises a fair hearing to the historical problems and processes that shape our daily lives in the early twenty-first century, from the rise of new technologies and religious movements to the contested legacies of feminism and civil rights. Indeed, the last forty years have a history that deserves telling. As Claire Bond Potter and Renee C. Romano observe in their introduction, historians have only begun to get a grip on the late twentieth century, an epoch that senior scholars such as Sean Wilentz (The Age of Reagan) and Daniel Rodgers (The Age of Fracture) have recently attempted to characterize. They intuit that American life took a distinct turn in the 1970s, and they search for a defining theme or narrative: the triumph of conservatism, the impact of new technology, the reordering of the world economy in an age of globalization. Such histories, while urgent and important, run the risk of succumbing to the limits of the historian’s own personal narrative: it is a past they grew up with, a past that is “not even past,” to crib from Faulkner. In contrast, the last fifteen years have seen the publication of new histories of the 1960s, which benefit from the historical distance that a new generation of scholars, such as Doug Rossinow and John McMillian, bring to events they themselves did not experience. All historians, of course, wrestle with their own investment in the subjects they choose to study, and this question of proximity to the recent past is one that the authors of Doing Recent History address throughout this engaging volume. Eschewing the integrative approach of Rodgers or Wilentz, these essays look at a grab bag of issues and reveal striking problems that property rights, technology, federal regulations, and the prejudices of our own discipline pose for studying the not-too-distant past. For example, American Studies scholar Gail Drakes offers an illuminating account of the journey taken by important documents in African American history, as the papers of leaders such as Malcolm X have moved from storage lockers to auction houses and university collections by means both legal and illegal. Readers who are unfamiliar with battles over the legacy of Dr. Martin Luther King Jr. will be shocked by the self-interested efforts of his family to control—and sometimes cash in on—his papers. Is there a public interest in the works of significant historical figures, over and above the prerogatives of private property? Drakes concedes that virtually no such right exists in the United States today, but the questions she raises about authorship, ownership, and scholarship merit urgent consideration. In another provocative contribution, Martin Meeker discusses the convoluted career of rules governing oral history. His narrative begins with a 2003 statement by federal regulators that seemed to imply that oral history does not produce “generalizable knowledge” and thus is not “research” subject to oversight by Institutional Review Boards (IRBs), the bodies that monitor human subjects research across a vast number of disciplines at most academic institutions (p. 116). Historians have long bristled at the idea that regulations originally designed to prevent unethical biomedical research should stop them from conducting interviews—a conflict chronicled by Zachary Schrag in his book Ethical Imperialism (2010). Meeker does not take as critical a stance toward IRB oversight as Schrag, but he helpfully charts the confusion that followed as scholars and administrators tried to determine whether the new federal guidelines actually freed oral historians from the need to undergo IRB review. In fact, Meeker concludes that historians should cooperate with IRBs and rightly questions the dubious argument that oral history is not “research.” Why, indeed, would historians want to insist that their work does not constitute research? As an example, Meeker discusses a major Berkeley study of people with disabilities that raised the question of whether large, systematic projects were sufficiently “generalizable” to warrant review—unlike, say, the smaller and more idiosyncratic interviews a historian working alone might undertake. While the imperative to protect human subjects remains as important as ever, this fact alone does not mean that the bureaucratic process of the IRB is the only way to achieve that goal. Would a standard set of procedures for assuring informed consent and protecting anonymity, where desired, not solve the problem? The Oral History Association’s “Principles and Best Practices for Oral History” provide such a model. In any case, Meeker and his fellow contributors explore problems that concern not only those who write about the last few decades but also any scholar whose work impinges on the present. Doing Recent History is an important volume that will be usefully assigned in graduate seminars, particularly for students shaping original research projects on the twentieth and twenty-first centuries. 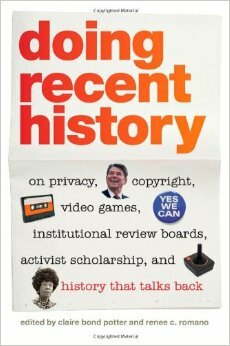 Check out Doing Recent History: On Privacy, Copyright, Video Games, Institutional Review Boards, Activist Scholarship, and History That Talks Back at the University of Georgia Press. George Mason historian Zachary Schrag offers a thorough—and fairly damning—critique of Meeker’s piece on IRB at his blog, Ethical Imperialism.